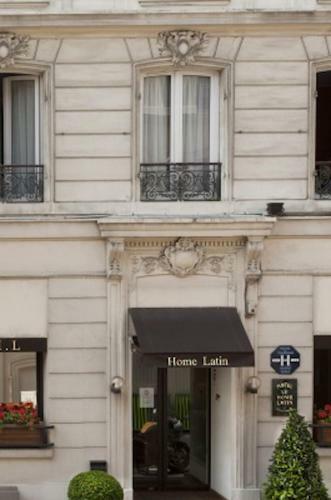 Hotel Home Latin is located right in the heart of the Latin Quarter. It is only two minutes walk from the Luxembourg Garden, the Sorbonne, the Panthéon and Notre Dame cathedral. 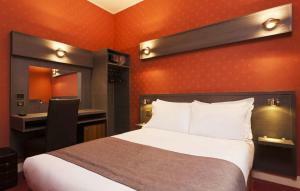 The spacious guest rooms are all equipped with a bathroom (shower or bath), direct-line telephone and satellite TV. 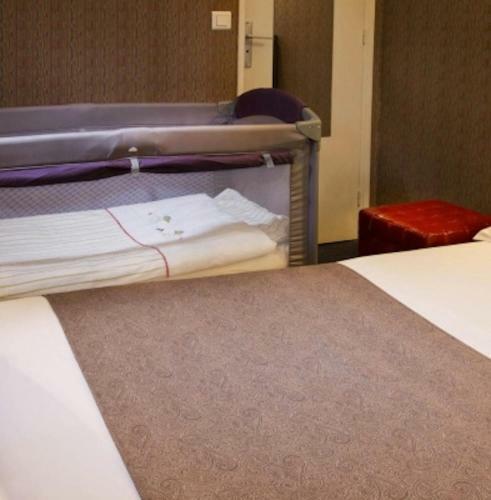 The first 5 floors are accessible by lift. 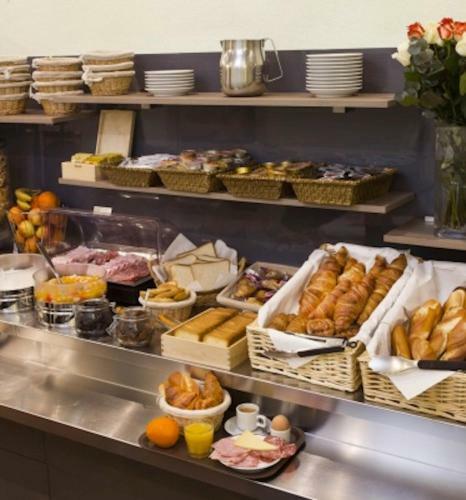 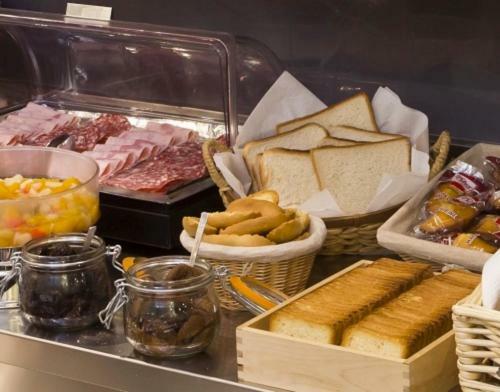 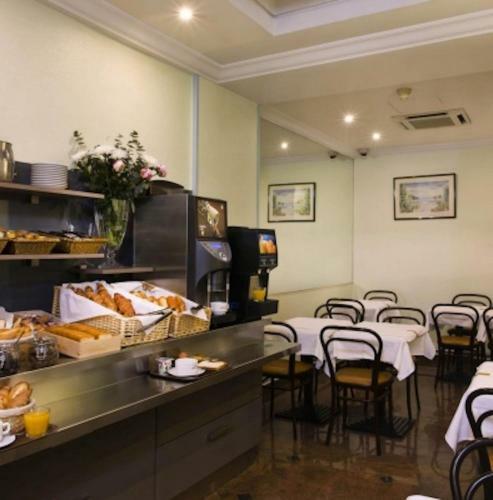 A healthy breakfast is available in one of the hotel's two breakfast rooms every morning. 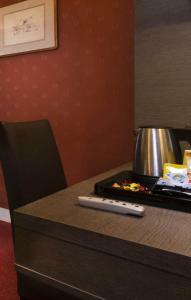 A guest lounge is provided for relaxing with friends. 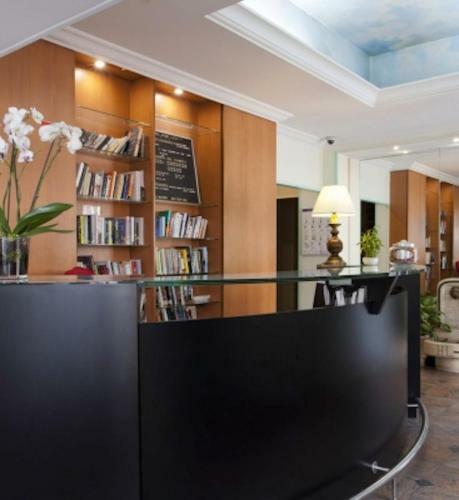 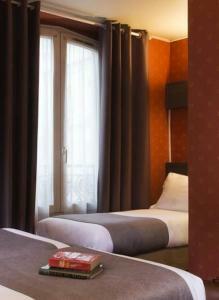 The hotel also offers quick access to the main metro and RER lines, making it a very central point. 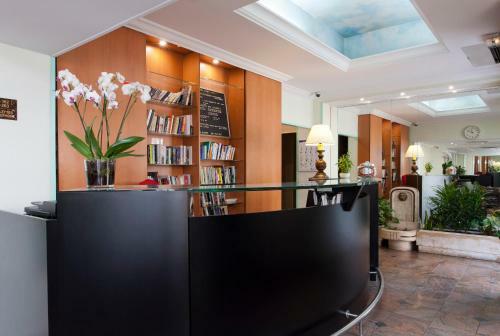 Upon request, the reception can provide a variety of extra services. 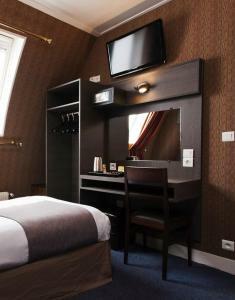 The stylish rooms include a TV with international and Canal+ channels, a telephone and a minibar. 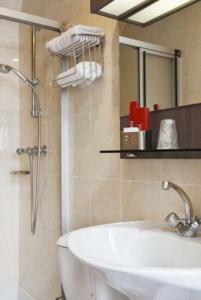 A safe and an electric kettle are also provided and the private bathroom is fitted with a bath or shower. 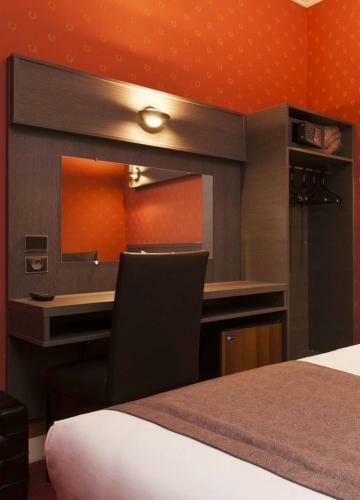 Rate: € 80.00 ... € 140.00; select dates below to get current rates. 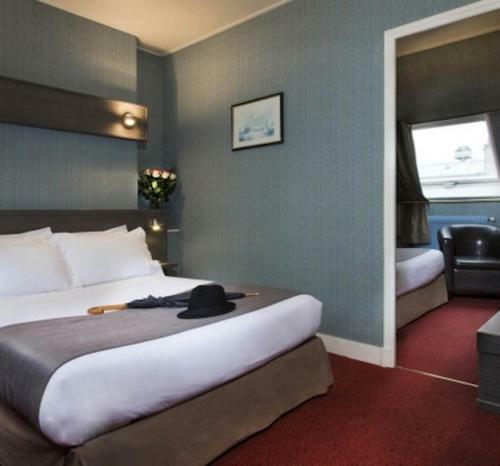 Rate: € 90.00 ... € 170.00; select dates below to get current rates. 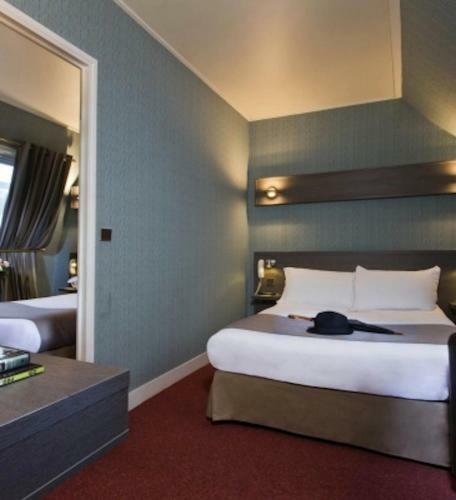 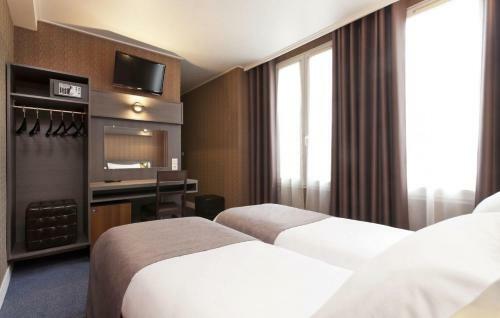 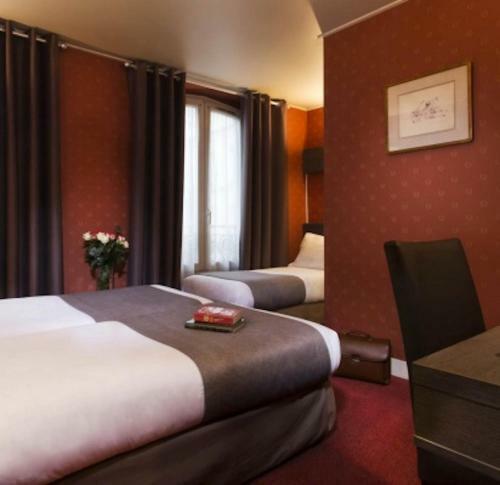 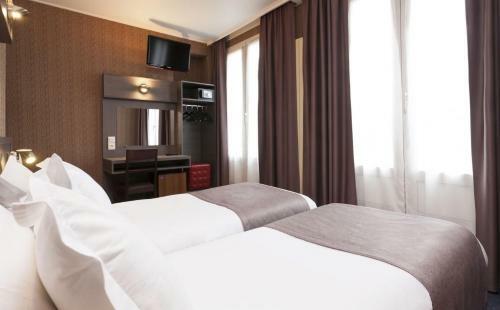 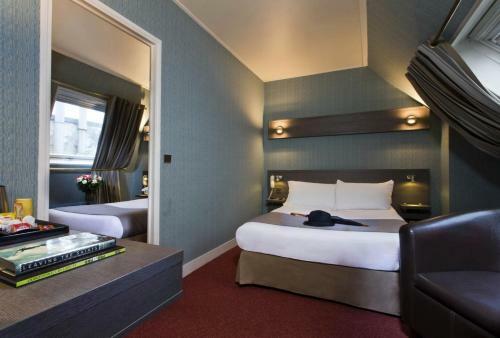 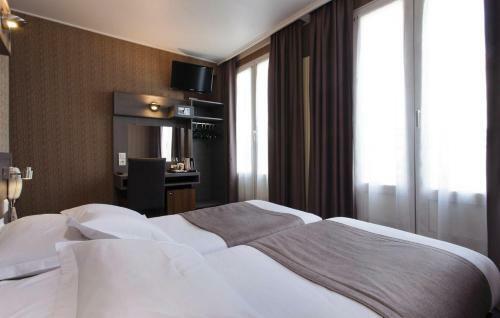 The stylish rooms include a TV with Canal+ channels, a telephone and a minibar. 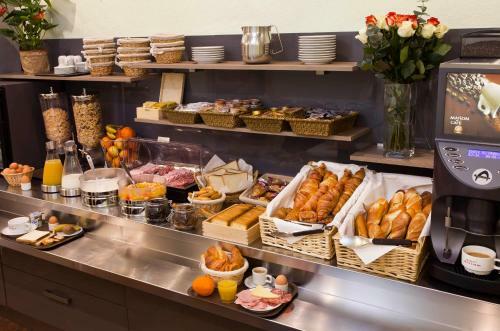 A safe and an electric kettle are also provided. 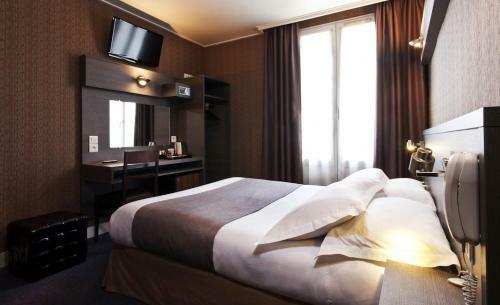 The stylish rooms include a flat-screen TV with international and Canal+ channels, a telephone and a minibar. A safe and an electric kettle are also provided and the private bathroom is complete with a bath or shower. The apartment features a flat-screen TV, a phone and individual heating. 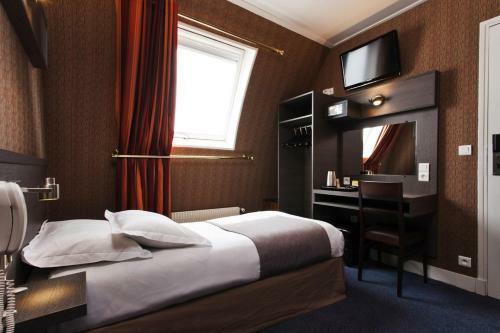 The private bathroom includes free toiletries, a hairdryer, and bath or shower. 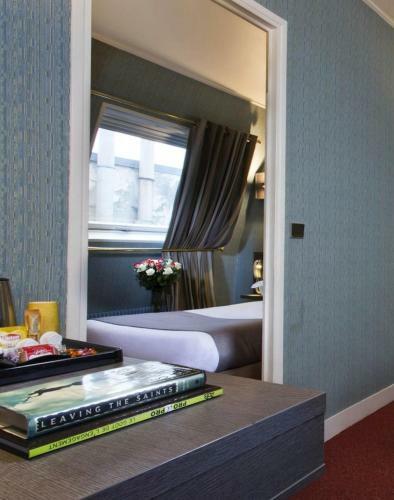 The apartment features a flat-screen TV, a minibar and an electric kettle. The private bathroom includes free toiletries, a hairdryer, and bath or shower. 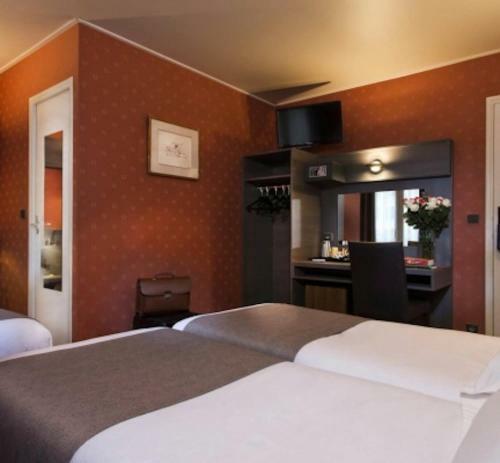 Rate: € 170.00 ... € 240.00; select dates below to get current rates.